Metrotalk’s SnapLock system is the solution for work environments where there are a large number of users, with a limited number of radios. The key ingredient is the interchangeable earpiece. 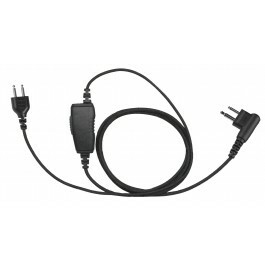 The connected cable with PTT stays with the radio, while the earpiece is swapped out at shift change, providing a hygienic solution to employee usage.High quality speech tuned microphone provides crystal clear communication. • One wire to microphone PTT and then to ear piece.